Perfect for everyday wear our soft shell jackets have an understated texture that make them a bit more sophisticated than other soft shells. 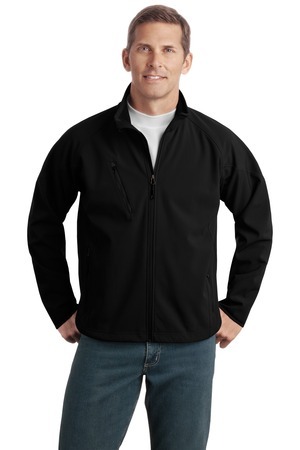 Super soft and flexible these jackets deliver pure comfort as well as water and wind protection. The raglan silhouette gives you optimum range of motion while the angled zippered chest pocket adds visual appeal.